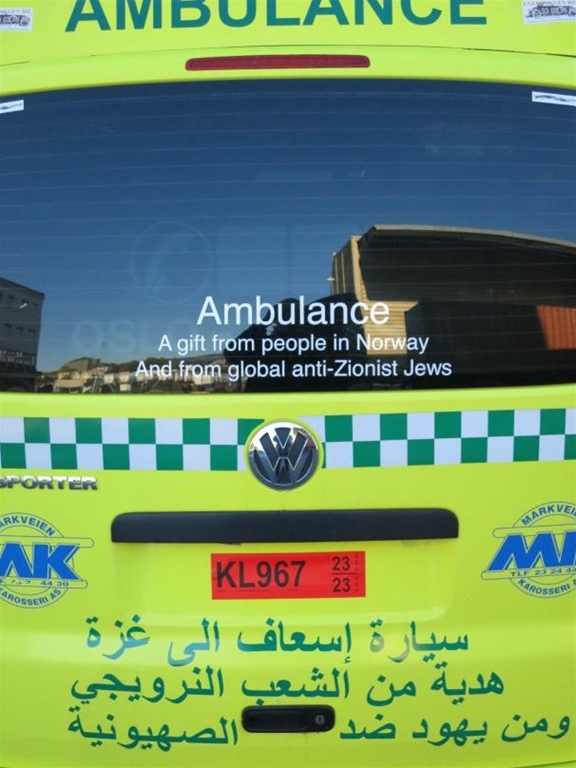 People in Norway, in co-operation with American anti-zionist Torah Jews, have collected money and bought and outfitted an ambulance which was then sent to the people of Gaza. 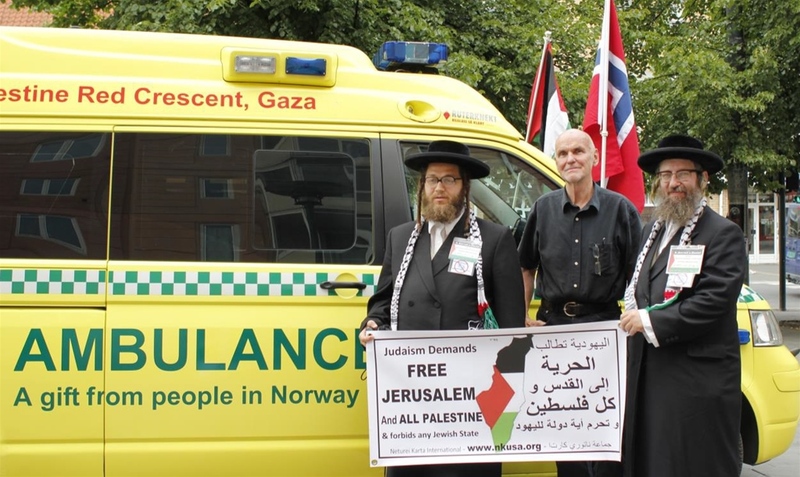 On the occasion of departure from Oslo, Al-Quds Day earlier this autumn, there was a large popular demonstration in support of the project. 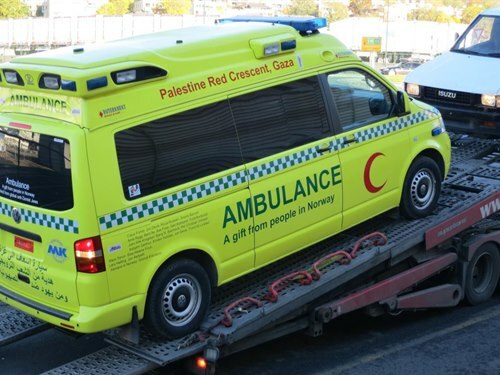 The ambulance has recently arrived by ship in Alexandria, Egypt and is now to be transported by road along the Sinai coast to Rafah, located on the border with Palestine, and further into Gaza. 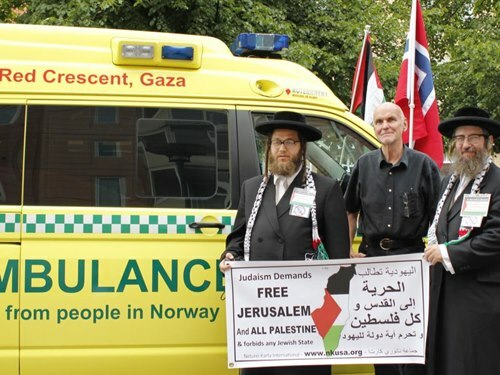 Venner av Jerusalem (Al Quds) / Friends of Jerusalem (Al Quds) very much desired to accompany the ambulance all the way from Alexandria into Gaza, and personally present it to The Palestine Red Crescent Society (PRCS) on Palestinian soil. 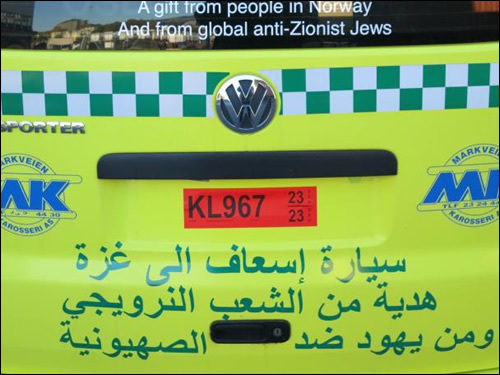 However, the Norwegian Embassy in Cairo strongly advised against this, on account of the security situation in Sinai. 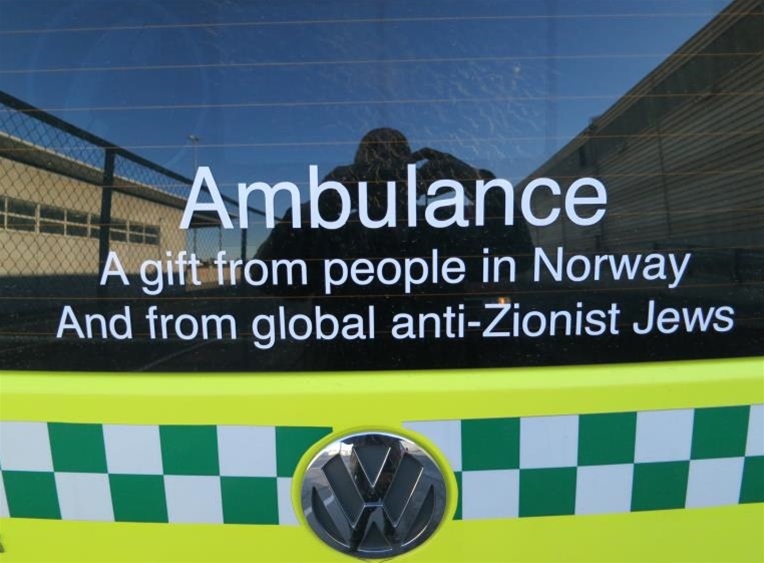 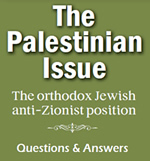 The Egyptian Embassy in Oslo also warned that the Jewish donors would not be issued visas to Egypt, and that the representative of the Friends of Jerusalem would not be permitted by Egyptian authorities to pass into Gaza. 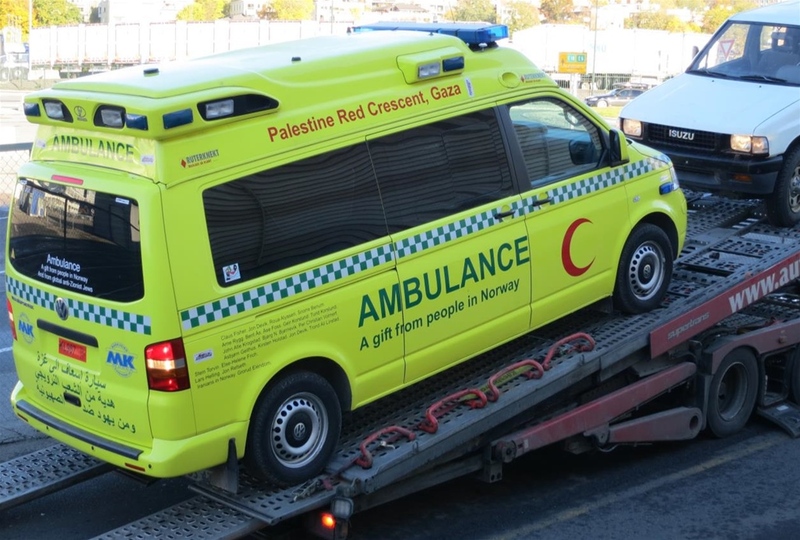 The Palestine Red Crescent Society (PRCS) of Egypt gracefully took it upon themselves to arrange for transport to Rafah, where their Palestinian counterparts will assume responsibility and later represent the donors as well as themselves at a formal reception in Gaza, thanking both the Norwegian donors and the American anti-zionist Jews.